On behalf of the IGA Kendo Club Family, I would like to take this opportunity to give a big “ARIGATO GOZAIMASU!” to our guests this weekend, Tsuchiya Makoto Sensei and his son Yuuki Kun. It was a great experience for all of us to have you visit our two dojo. We were able to learn so much from your teaching and demonstrations during your visit here. We hope that we were able to show you what Philippine Kendo is about. We also hope that you enjoyed your stay here, as brief as it was. We hope that you will be able to come back and stay longer so that you can explore the Philippines more! And of course to share more of your Kendo knowledge with us! Thank you once again, and looking forward to seeing you soon! 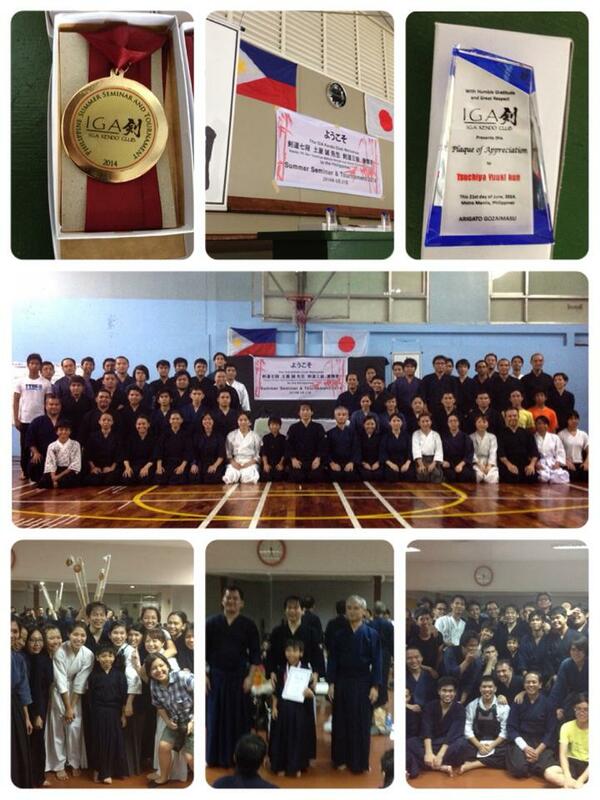 Note: Please click on the following links to see more of their visit to the Dasma Dojo and the Arena Dojo. This entry was posted in Competition, Concepts, Events, Instructors, Kendo, Socials, Stories / Testimonials, Training Schedule and tagged Arena Fitness Dojo, Arena Fitness Inc, ARIGATO GOZAIMASU, competition, Dasma Dojo, Dasmariñas, dasmarinas village, Dojo, Iga ken, Iga Kendo, IGA Kendo Club, IGA Kendo Club Family, Igarashi, Igarashi Sensei, Japan, jigeiko, kata, keiko, kendo, Koji Igarashi, Makati, Martial arts, Philippine Kendo, Philippines, Quezon City, tournament, training, Tsuchiya Makoto, Tsuchiya Makoto Sensei, Tsuchiya Sensei, workshop, Yuuki Kun. Bookmark the permalink. ← Welcome to the Philippines Tsuchiya-Sensei!